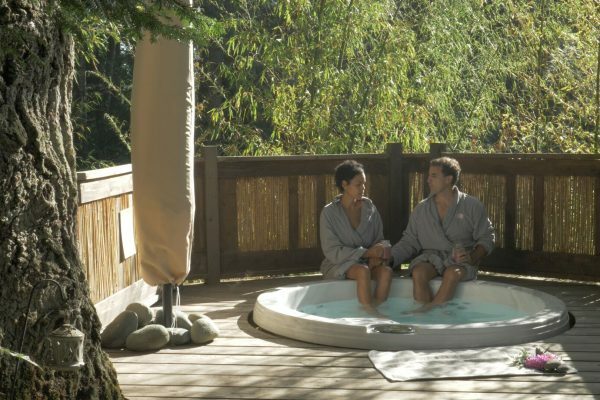 Soothe body, mind & soul at our all natural, organic spa ... a unique Salt Spring Island experience. Solace Organic Spa specializes in offering private and secluded healing retreats for spa enthusiasts and couples provided by our exceptionally skilled therapists of holistic massage, acupressure, therapeutic bodywork and our Signature spa therapies. Solace Organic Spa is the boutique day spa and wellness retreat for local and visiting spa enthusiasts seeking exceptional professional massage and spa therapists in natural eCo contemporary surroundings. We offer an array of holistic therapies by some of Salt Spring Island’s finest and qualified practitioners. Our focus is on Inner Beauty and Spa as a state of mind and heart for enhanced well-being. Our spa menu offers certified massage, acupressure, reflexology, ocean stone massage, aromatherapy, solace facials, salt glows, steam sessions, thalassotherapy body wraps, solace skin care, waxing, tinting, manicures, pedicures and private yoga therapy. Our guests can also enjoy our Solace Spa Ritual (infrared sauna and forest hot tub) as part of their spa experience. We also host spa parties and offer couples’ massage or side-by-side spa services for you to enjoy with a loved one, family member or friend. Note: We do NOT offer RMT services. We compassionately soothe the body, mind and soul by enveloping your being in a sanctuary of solace inspired by nature. Our commitment to your well-being and our environment is honoured with the use of our own Solace Organic body and skin care products using the finest botanicals of Earth and Sea. The owner Julie is our aromatherapy artistan and has formulated Solace Organic Aromatherapy Skincare, slowly evolving the product line since 1997. We use only the finest in naturally sourced, plant derived products to enhance your connection of the mind, body and spirit. We offer our guests a holistic, natural and alternative approach for your journey to wellness, healing and a balanced state of health. We are focused on positive self nurturing, re-discovery and re-connection to your inner beauty. Our service is offered with quality, kindness and compassion. Our goal is to create a nurturing and comfortable environment. We provide you with competent and professional care customizing each session to address your specific needs. Described as “a harmony of the senses” your experience here at Solace is designed to help create a deep sense of well-being, balance and bliss. We are committed to being here for you and we are rewarded by giving you the most unique natural spa experience possible. … we await your presence. We look forward to helping you create your very own individualized personal wellness and private spa retreat!